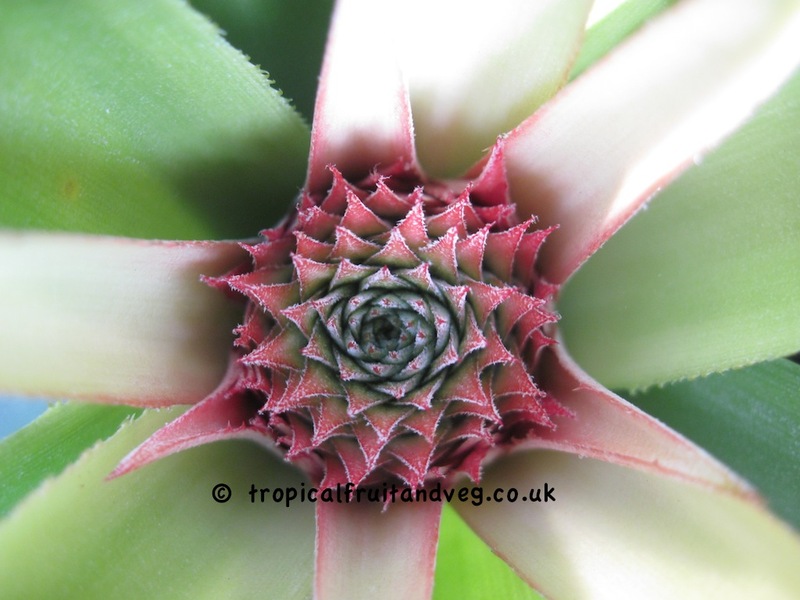 The pineapple plant is a terrestrial herb 0.75-1.5 m high with a spread of 1-1.2 m a very short, stout stem and a rosette of waxy, long-pointed leaves; usually needle tipped and generally bearing sharp, upcurved spines on the margins. The leaves may be all green or variously striped with red, yellow or ivory down the middle or near the margins. At blooming time, the stem elongates and enlarges near the apex and puts forth a head of small purple or red flowers, each accompanied by a single red, yellowish or green bract. The stem continues to grow and acquires at its apex a compact tuft of stiff, short leaves called the 'crown' or 'top'. 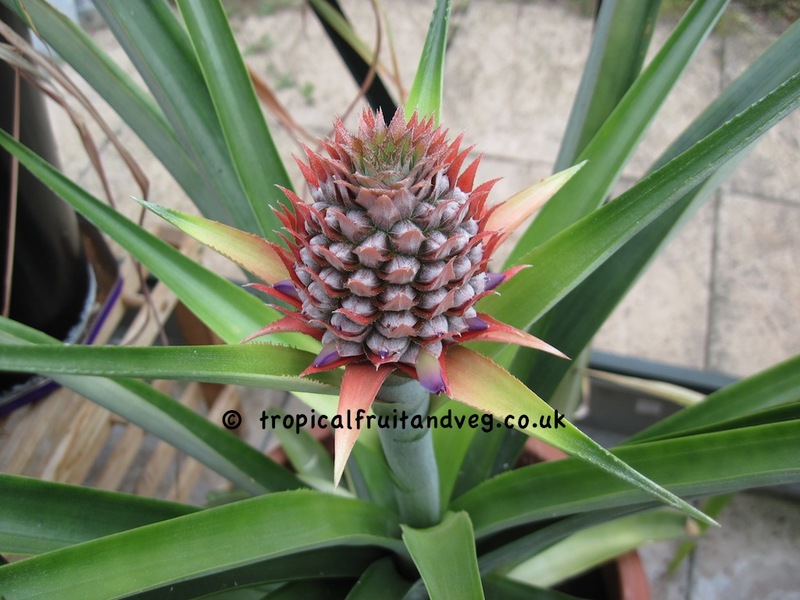 Occasionally a plant may bear 2 or 3 heads, or as many as 12 fused together, instead of the normal one.As individual fruits develop from the flowers they join together forming a cone shaped, compound, juicy, fleshy fruit to 30 cm in height, with the stem serving as the fibrous but fairly succulent core. The tough, waxy rind, made up of hexagonal units, may be dark-green, yellow, orange-yellow or reddish when the fruit is ripe. The flesh ranges from nearly white to yellow. If the flowers are pollinated, small, hard seeds may be present, but generally one finds only traces of undeveloped seeds. Field ripe fruits are best for eating fresh, and it is only necessary to remove the crown, rind, eyes and core. 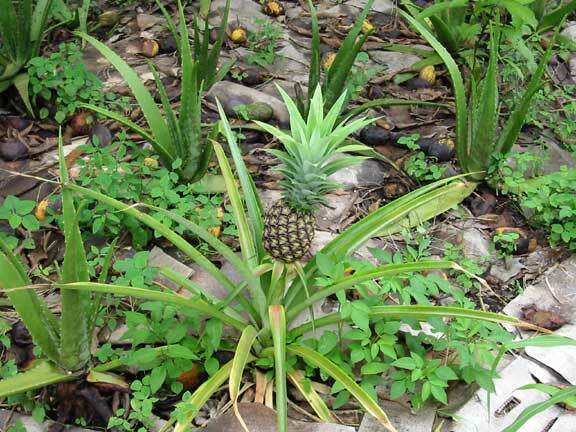 in SE Asia pineapple is used in curries and various meat dishes. The pineapple does not lend itself well to freezing. Canned pineapple is consumed throughout the world. 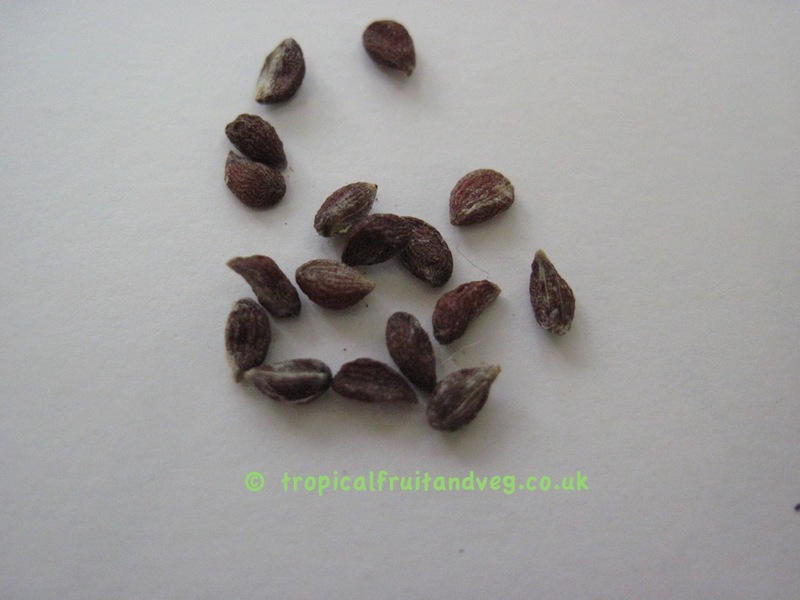 The highest grade is the skinned, cored fruit sliced crosswise and packed in sirup. 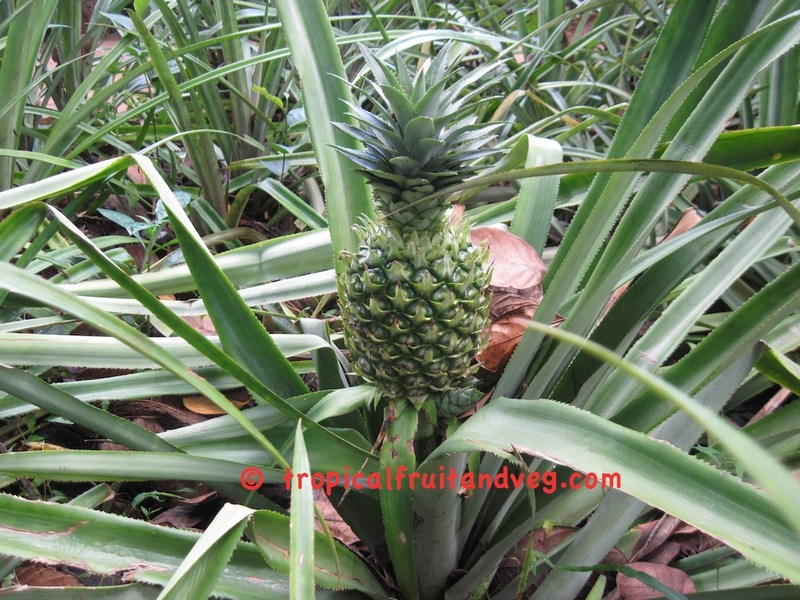 Today there is a growing demand for pineapple juice as a beverage. Crushed pineapple, juice, nectar, concentrate, marmalade and other preserves are commercially prepared from the flesh remaining attached to the skin after the cutting and trimming of the central cylinder. All residual parts cores, skin and fruit ends are crushed and given a first pressing for juice to be canned as such or prepared as sirup used to fill the cans of fruit, or is utilized in confectionery and beverages, or converted into powdered pineapple extract which has various roles in the food industry. A second pressing yields 'skin juice' which can be made into vinegar or mixed with molasses for fermentation and distillation of alcohol. Pineapple juice is taken as a diuretic and to expedite labor, also as a gargle in cases of sore throat and as an antidote for seasickness. The flesh of very young (toxic) fruits is deliberately ingested to achieve abortion (a little with honey on 3 successive mornings); also to expel intestinal worms; and as a drastic treatment for venereal diseases. In Africa the dried, powdered root is a remedy for edema. The crushed rind is applied on fractures and the rind decoction with rosemary is applied on hemorrhoids. 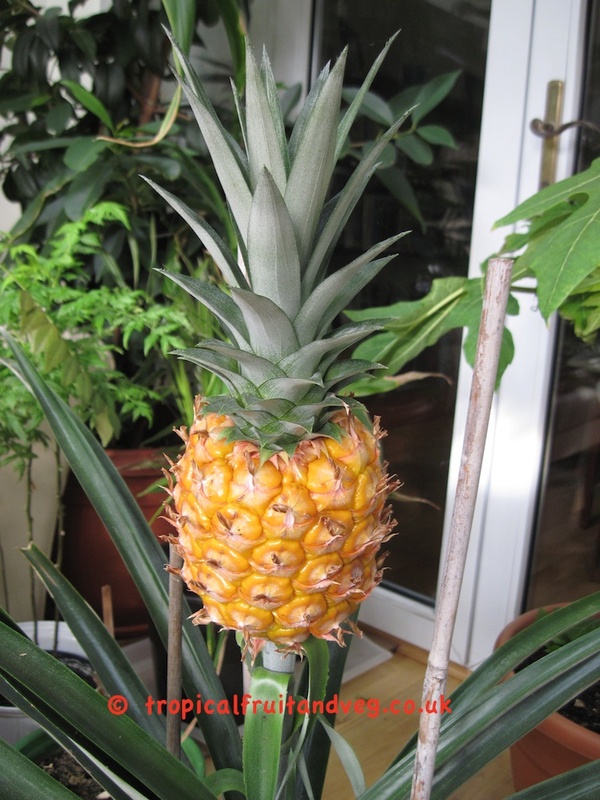 The pineapple is a tropical or near tropical plant. A temperature range of 18-45�C is most favorable, though the plant can tolerate cool nights for short periods. Prolonged cold retards growth, delays maturity and causes the fruit to be more acid. Altitude has an important effect on the flavour of the fruit. 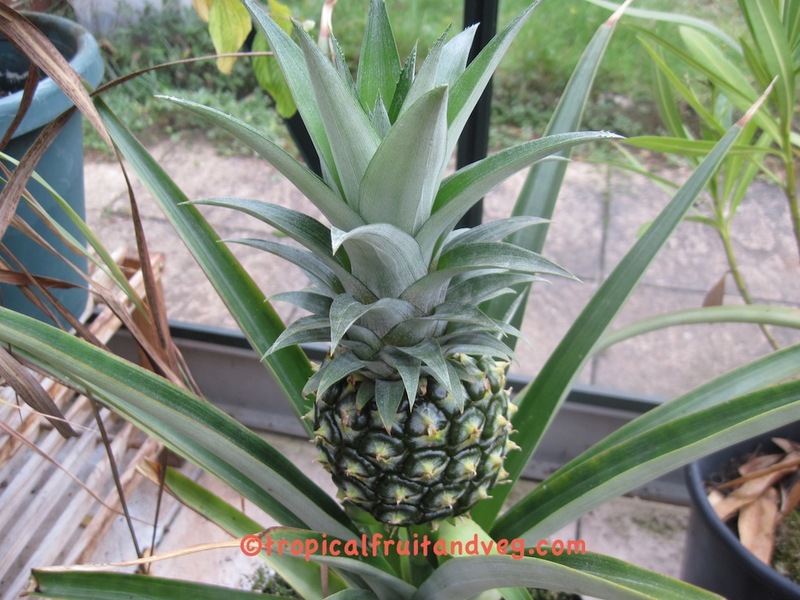 The best soil for pineapple culture is a well-drained, sandy loam with a high content of organic matter and it should be friable for a depth of at least 60 cm, and pH should be within a range of 4.5 to 6.5. The plant cannot stand waterlogging and if there is an impervious subsoil, drainage must be improved. Pure sand, red loam, clay loam and gravelly soils usually need organic enrichment. 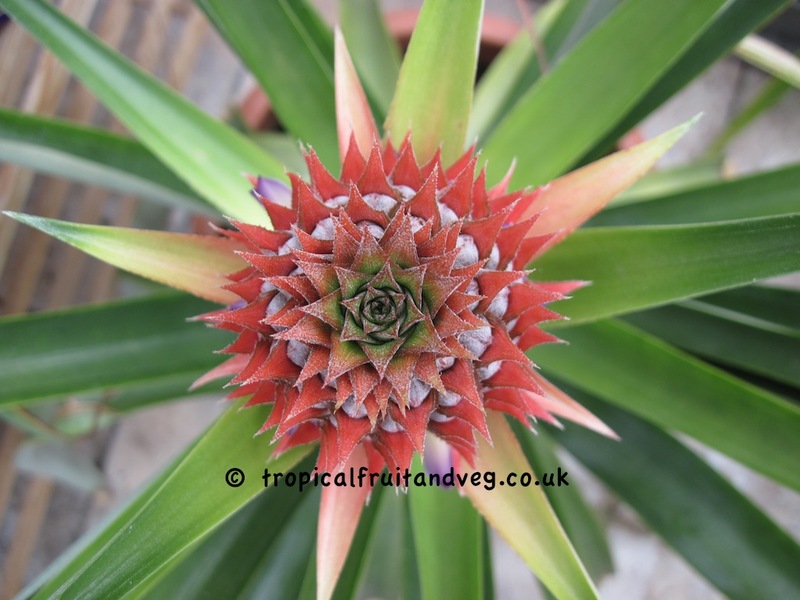 Crowns (or 'tops'), slips, suckers and ratoons have all been commonly utilized for vegetative multiplication of the pineapple. The seeds are hard and slow to germinate.